A $25 million federal grant package aimed at strengthening local and regional food systems nationwide will have a big impact on several Catskill businesses and organizations, including a small food company in Narrowsburg that bases all its dishes on ingredients grown by farmers. Natural Contents Kitchen, a four-year-old company in Sullivan County, received $96,000 from the U.S. Department of Agriculture this month. It was one of three Sullivan County recipients benefiting from two federal programs. 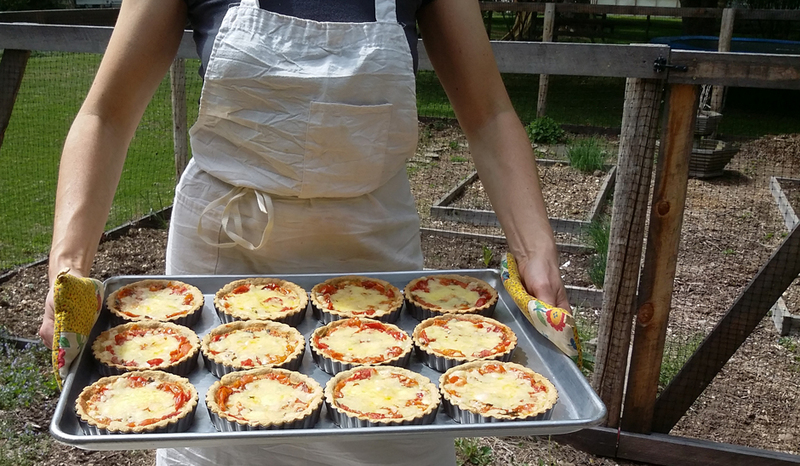 The $12 million Local Food Promotion Program and the $13 million Farmers Market Promotion Program funded a variety of initiatives that will benefit farmers and food producers in the Catskills and throughout upstate New York. For Natural Contents Kitchen, the grant means being able to buy new equipment such as a flash freezer and processing machinery that would be out of reach otherwise. “It’s basically to promote local food and help us expand. It’s really exciting — this means a lot to a small business,” said co-founder Danielle Gaebel, who owns Natural Contents Kitchen with partner Jennifer Bitetto. Natural Contents Kitchen specializes in organic, gluten-free, vegan- and vegetarian-friendly dishes that range from savory main dishes like soups and enchiladas to sweets like muffins and tarts. Its ingredients are sourced at about 20 local and regional farms, and vary with seasonal availability. Gaebel and Bitetto sell their products wholesale, at farmers’ markets and by direct shipping, and also cater. The two self-described “radical homemakers” will use the money to develop and market new products with two of their suppliers, Butchie’s Organic Farm and Willow Wisp Organic Farm, Gaebel said. The funds will support the writing and publication of a Natural Contents Kitchen cookbook, tentatively scheduled for release in October 2016, Gaebel said. With the help of the grant, the pair will also be able to step up their marketing and promotion efforts. “For all of us who are producing food on a local level, there’s always an enormous education component to what we do,” Gaebel said. Sullivan County’s other recipients were the Cornell Cooperative Extension (CCE), headquartered in Liberty, and the county government. CCE will use its $94,000 grant to support several projects: its new commercial incubator kitchen, which opened in January; educational workshops and technical assistance for local food business owners; and the development, licensing, production, packaging and distribution of value-added products. The county’s grant will go toward marketing its seven farmers’ markets and other buy-local initiatives under its Sullivan Fresh campaign. Farm to Table Co-Packers in Kingston, which specializes in packaging fresh, frozen and shelf-stable food produced locally, received $99,000 for product-line expansion opportunities for local and regional farmers like Migliorelli Farm, one of their current customers. Hudson Valley Agribusiness Development Corporation in Hudson received $100,000 to provide technical assistance for the organization’s Good Food Business Accelerator, a new initiative aimed at developing a regional supply chain for sustainably raised food. The Southern Tier East Regional Planning Development Board in Binghamton, whose territory includes Delaware and Schoharie counties, received $76,000 for its Southern Tier Craft Beverage Incubator, which will promote the growth of niche agricultural products for New York State’s burgeoning craft beverage industry. The Carey Institute for Global Good in Rensselaerville received $100,000 in support of its Helderberg Brewshed project, which brings together farmers and brewers at its incubator brewery and classrooms in an effort to develop economic opportunities for farmers to grow crops needed by craft beverage makers. Last year, the USDA’s Local Foods Promotion Program awarded $25,000 to Delaware Bounty, a Delhi local food retail and online outlet that opened its doors this spring, and $70,000 to the Center for Agricultural Development and Entrepreneurship, in support of Lucky Dog Organic’s local food hub in Hamden.